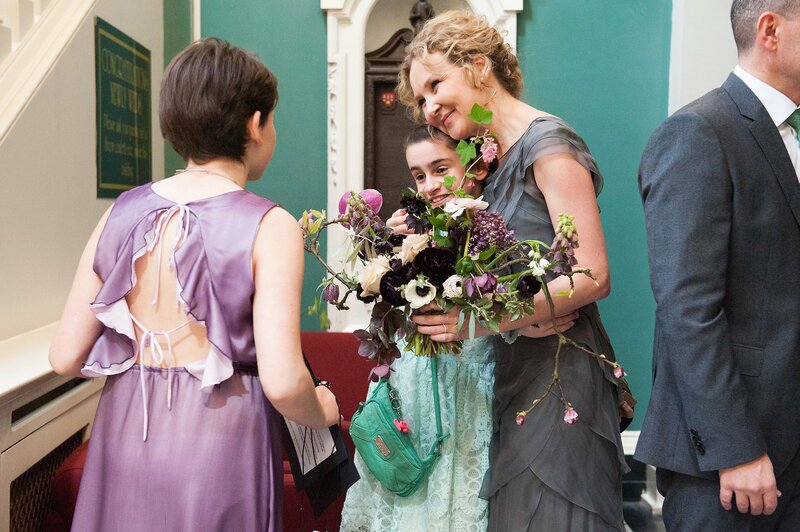 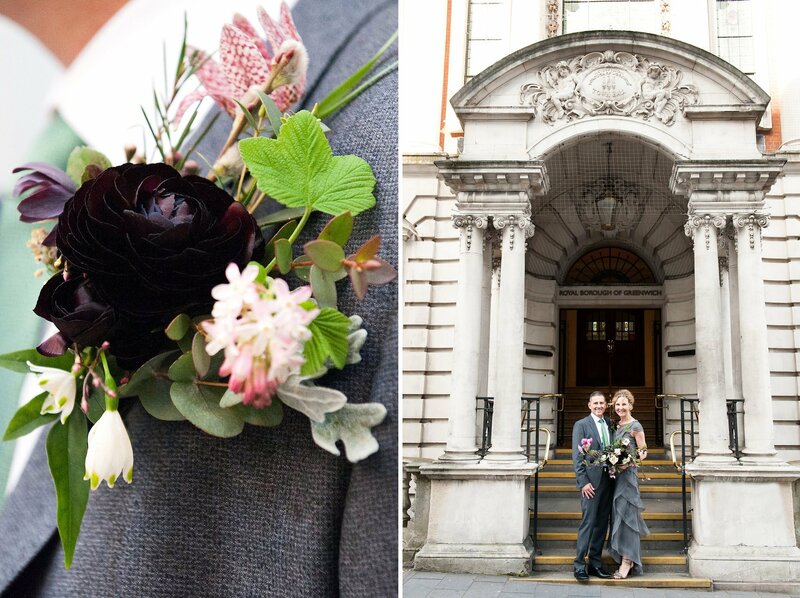 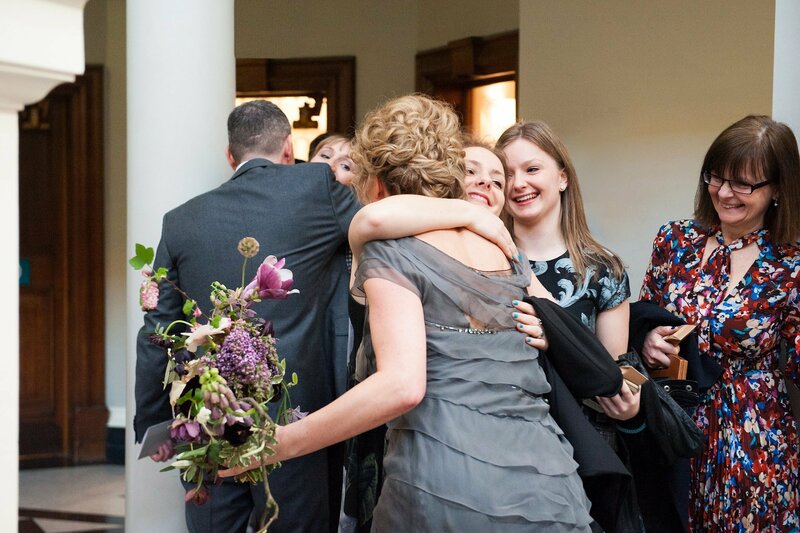 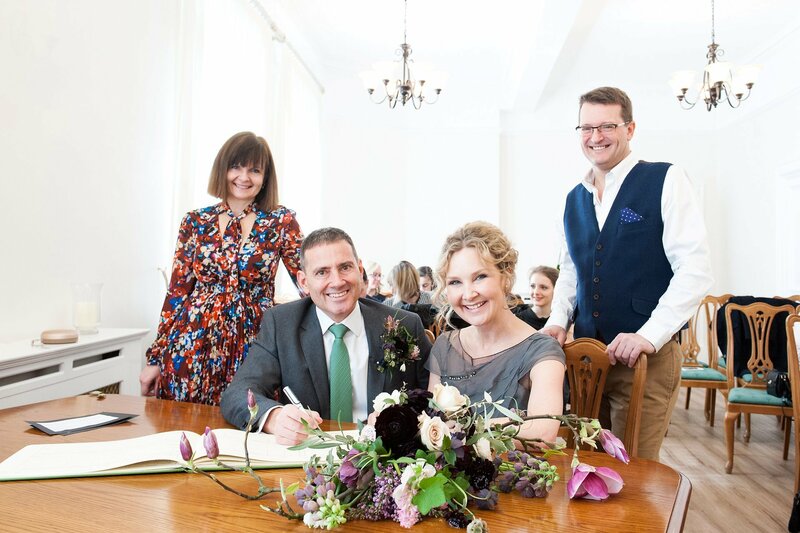 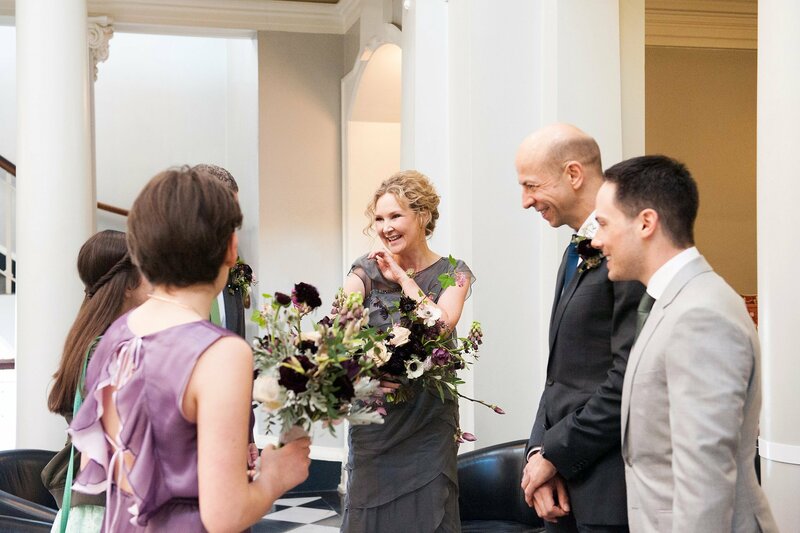 The Woolwich Town Hall wedding of H and A was a joyful spring day with blue skies, smiles and stunning flowers. 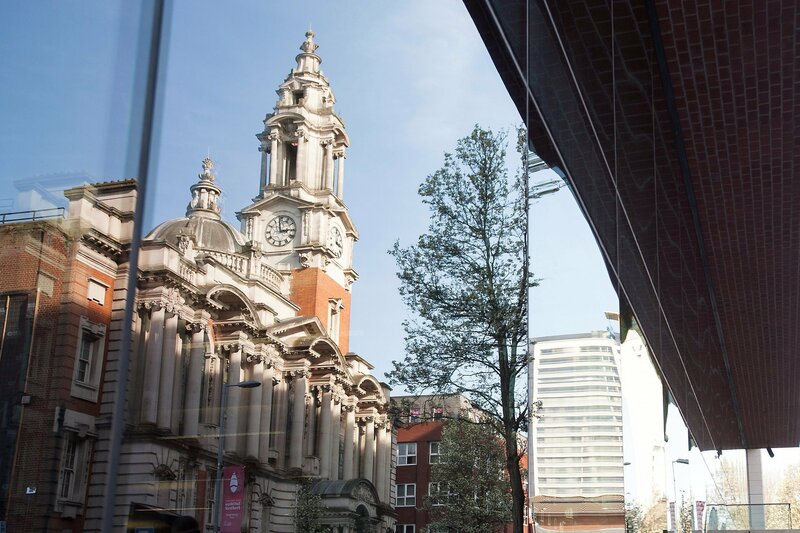 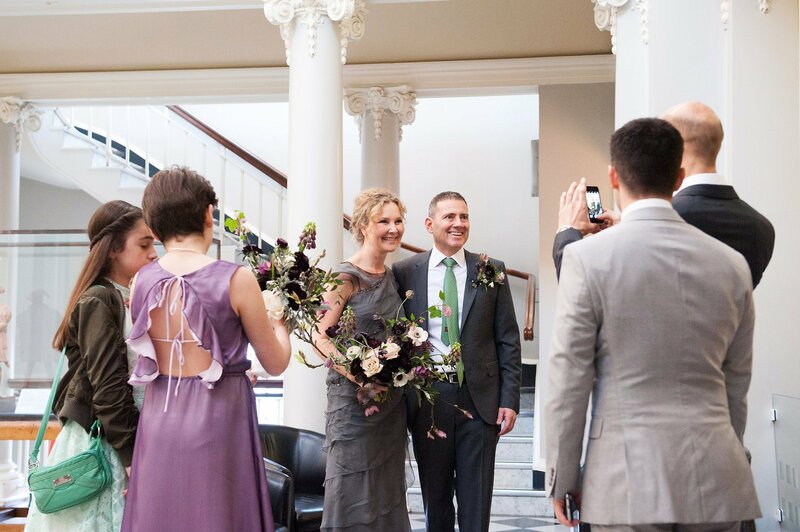 Woolwich Town Hall is a wedding photographer’s dream, with an entrance colonnade on Wellington Street that reflects beautifully in the Woolwich Centre opposite. 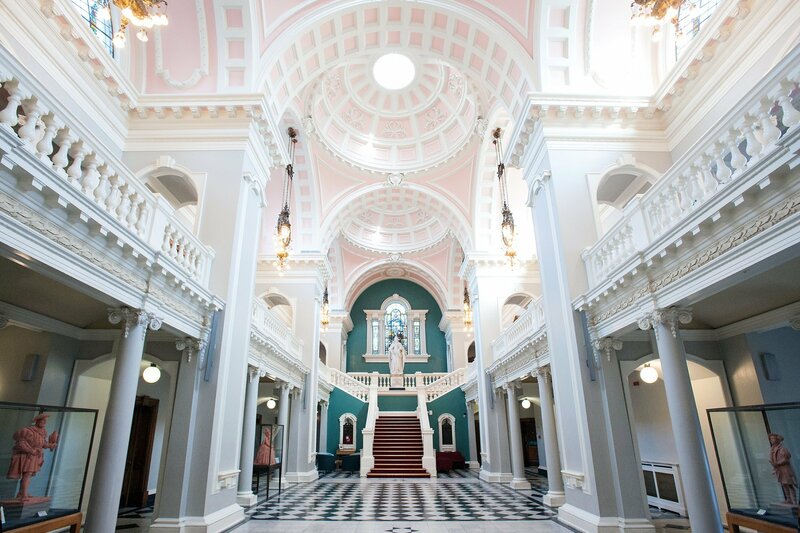 Inside, Victoria Hall is a knock-out with marble floor, domes and a huge split staircase. 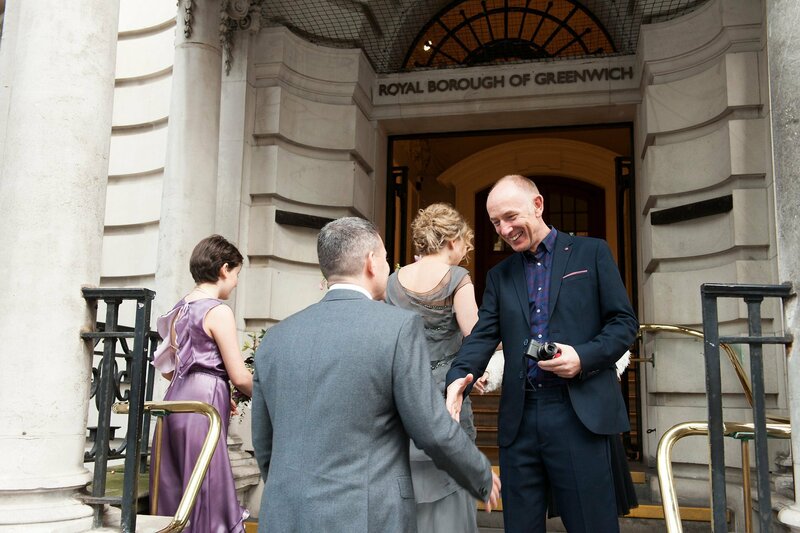 It is the main base for Greenwich Register Office and its registrars, who perform weddings throughout the Royal Borough. 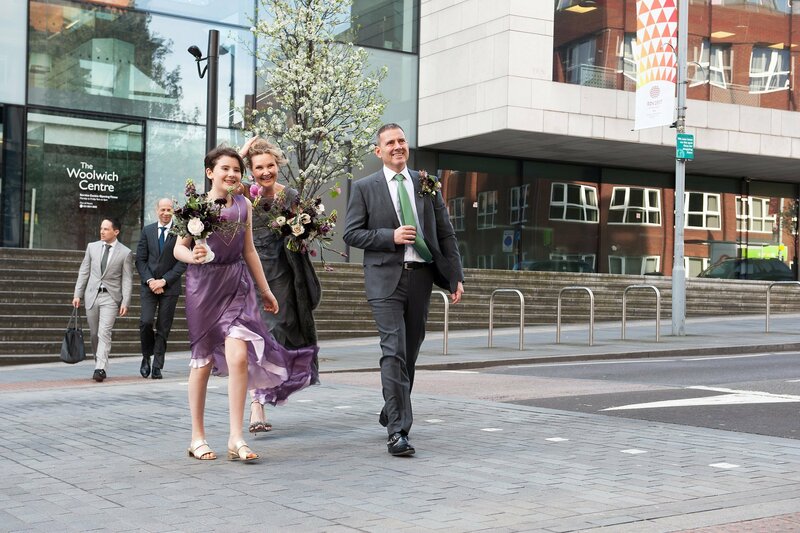 H and A arrived at their wedding together in a London black cab with their bridesmaid. 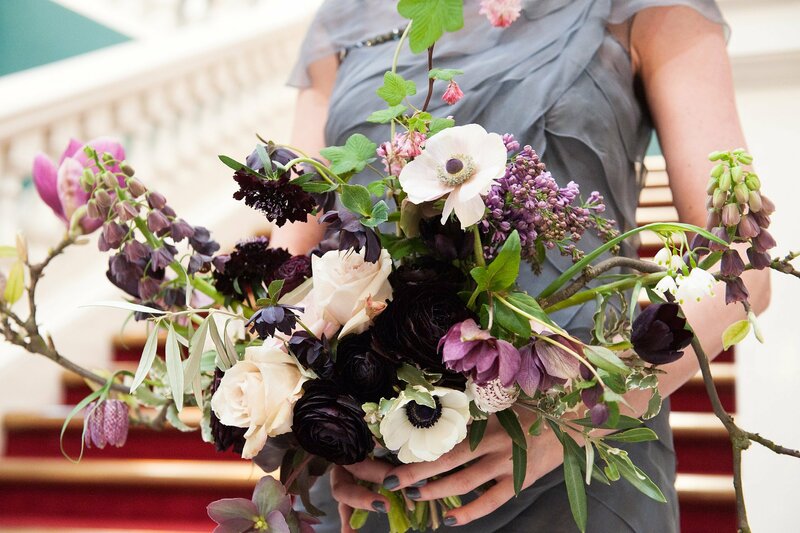 Their free-flowing bouquets are the work of Allison Billenness from Blackheath florist Bloomologie. 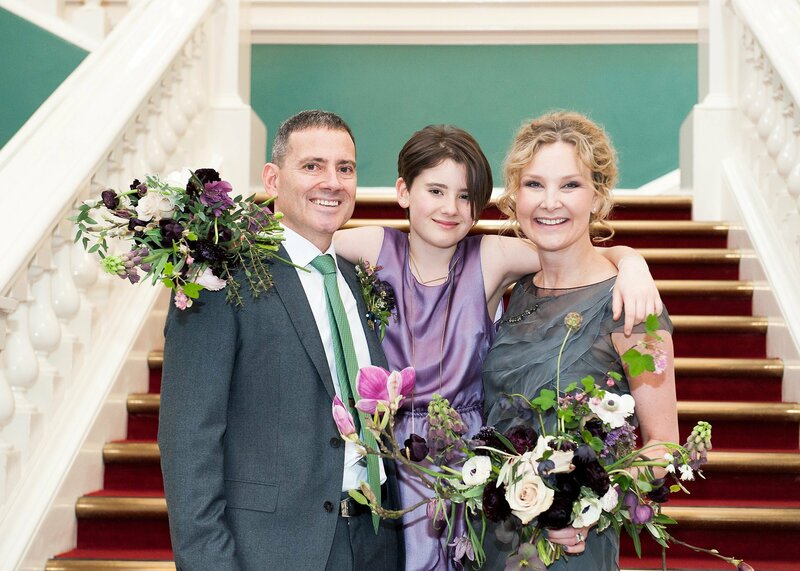 Aren’t they stunning! 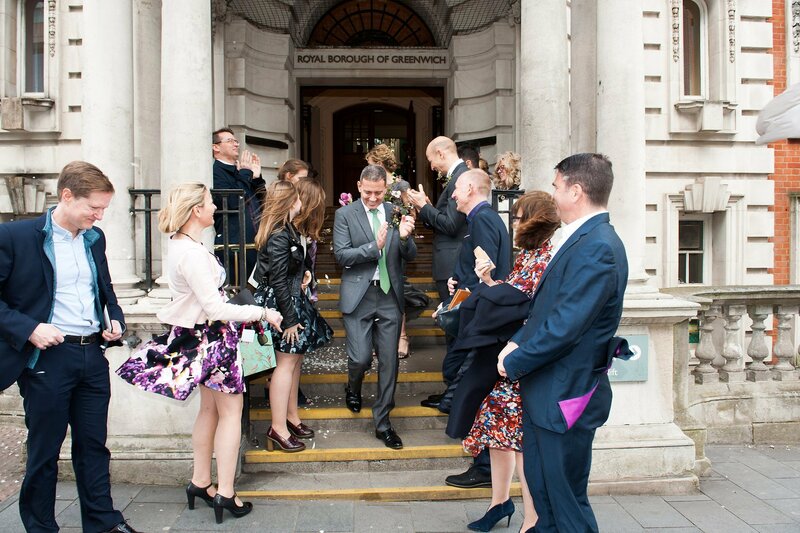 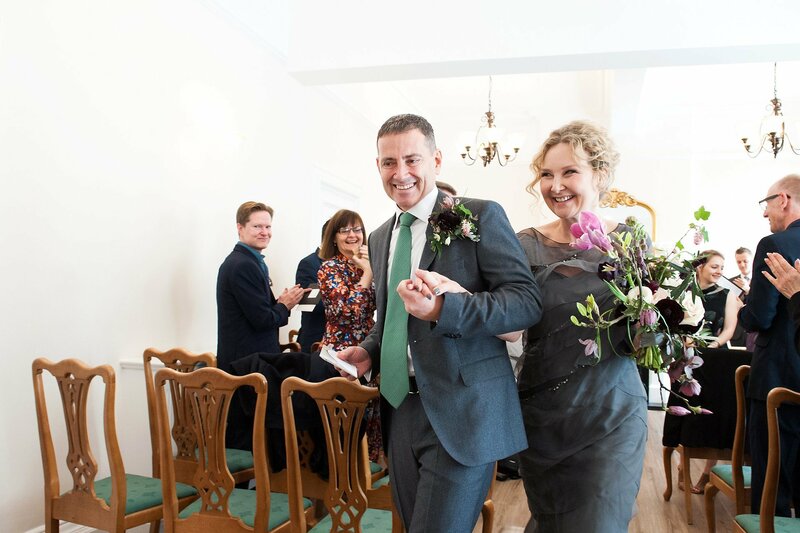 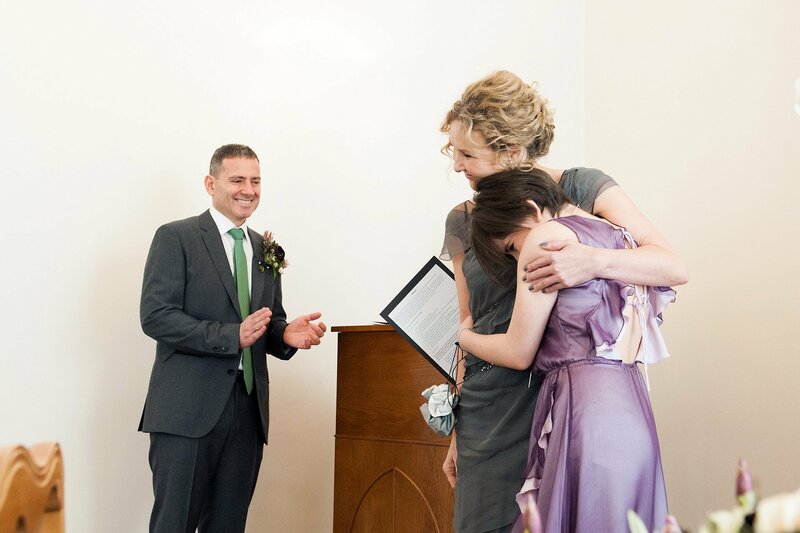 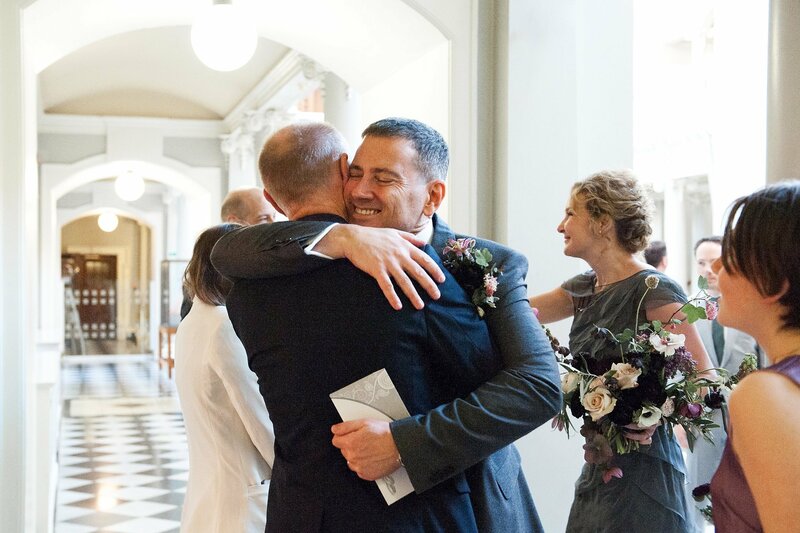 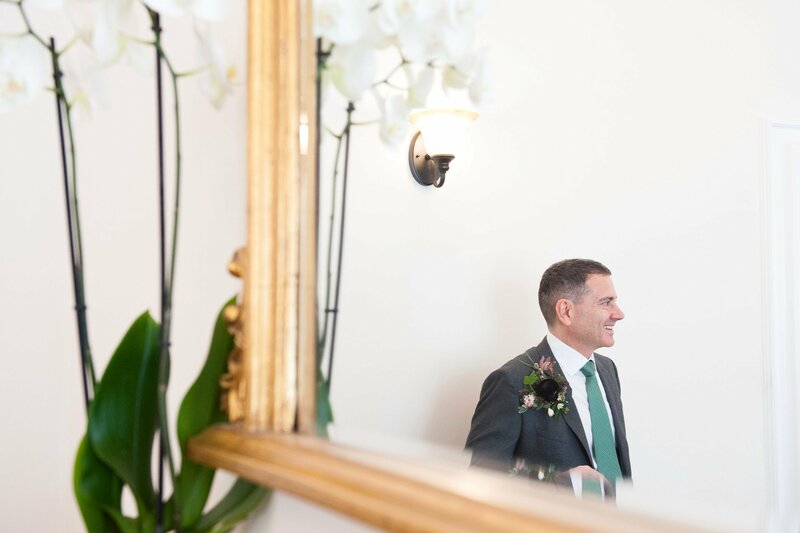 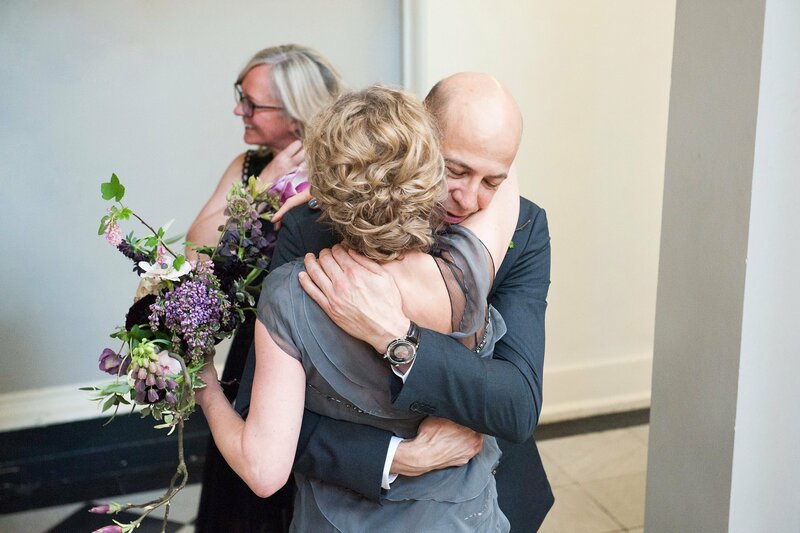 The ceremony was full of laughter and a fantastic reading by S. When the register was signed, they headed out and instantly their guests hugged them from all angles. 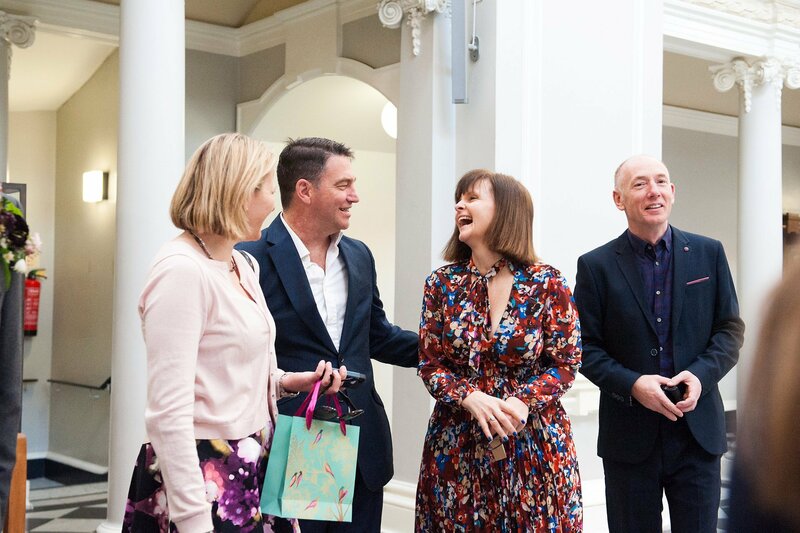 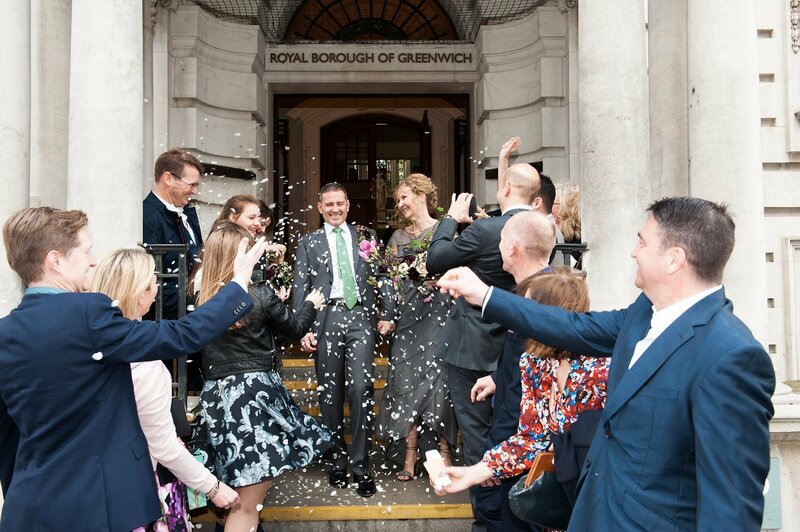 We took a few group photos, portraits of the happy couple and they left in a hail of confetti and lunch in Covent Garden. 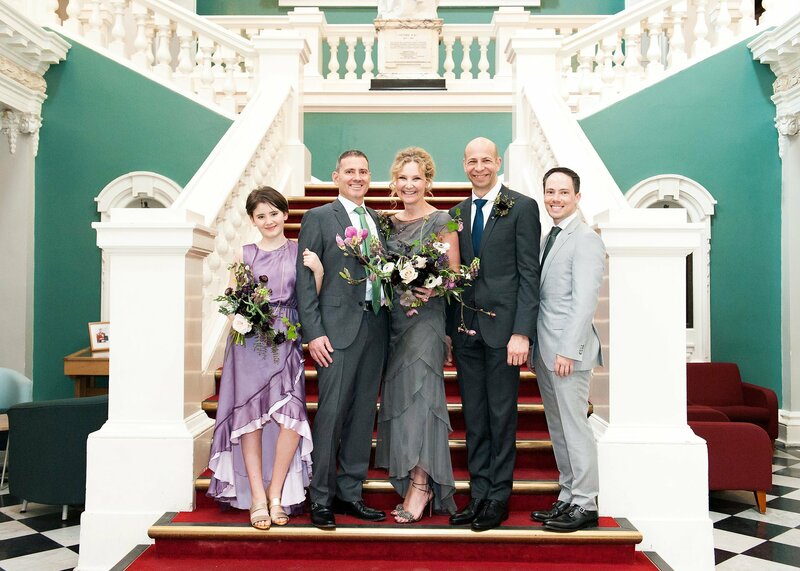 For more information please visit my Greenwich Register Office information page. 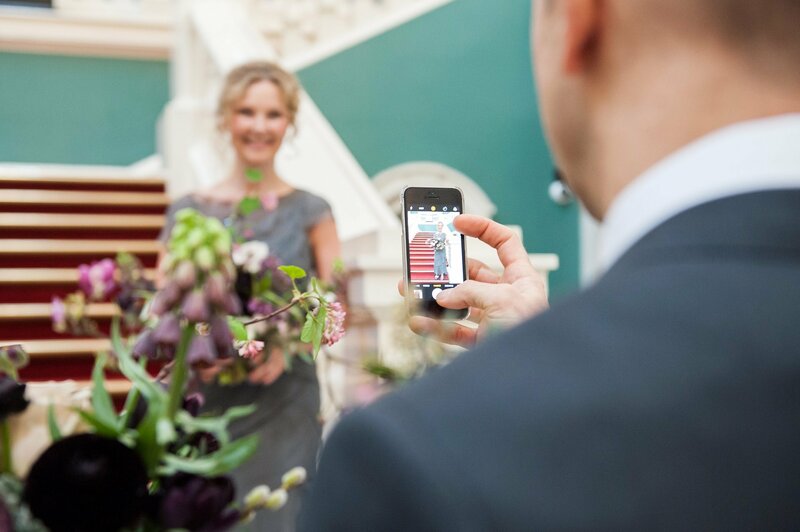 Could you please send me some information and quotes on your wedding photography packages? 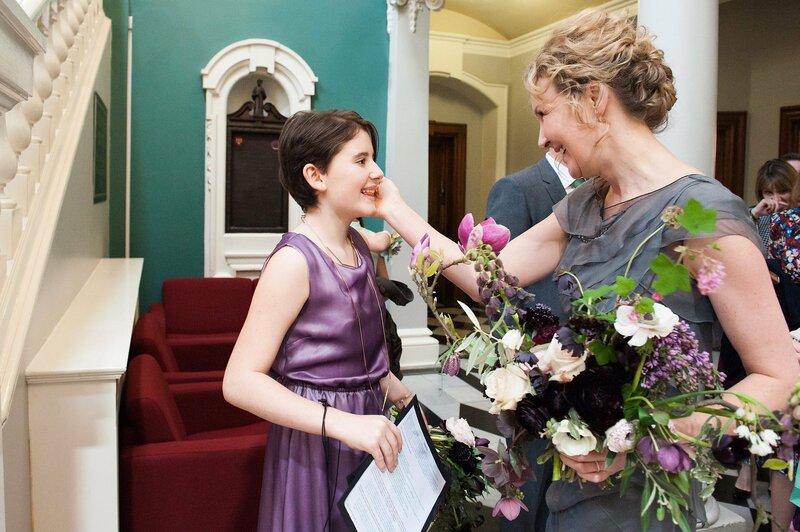 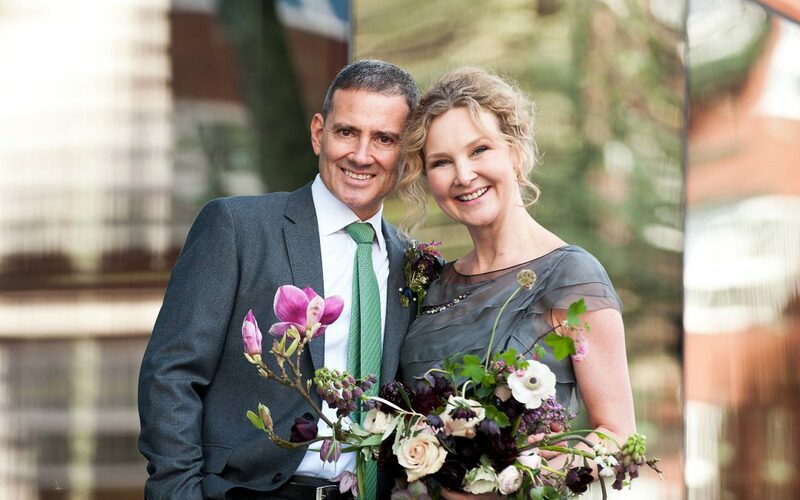 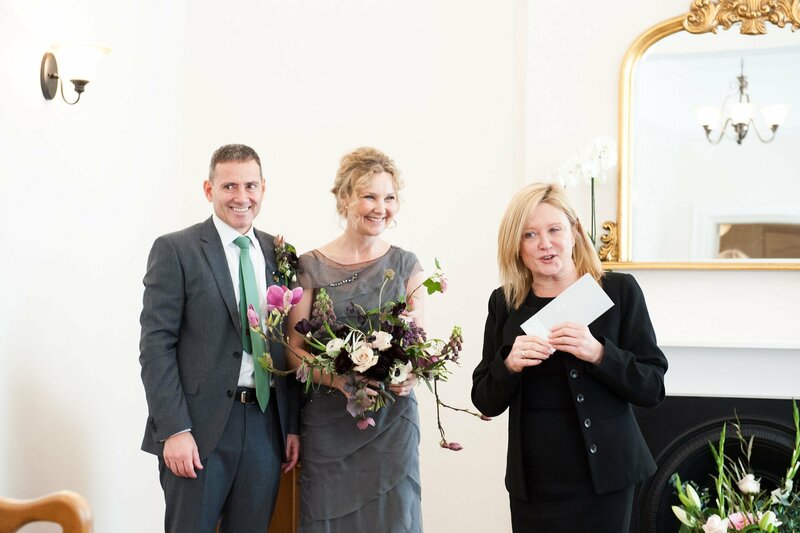 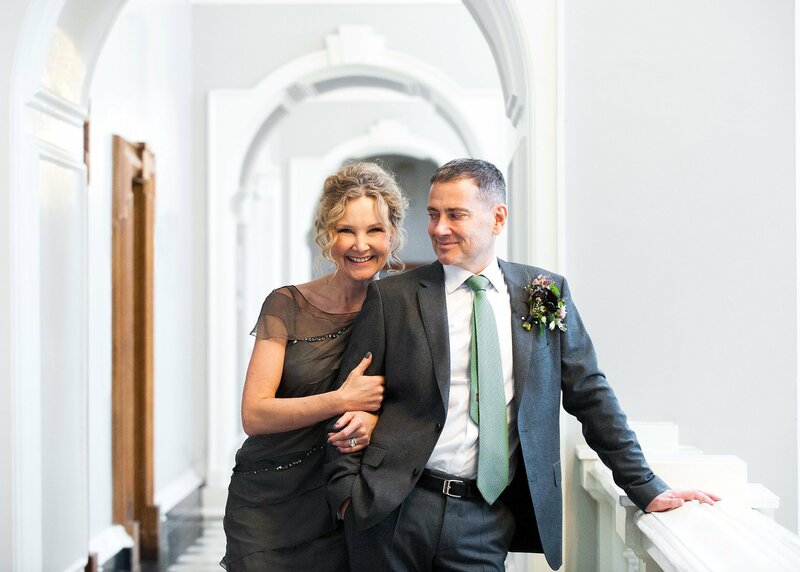 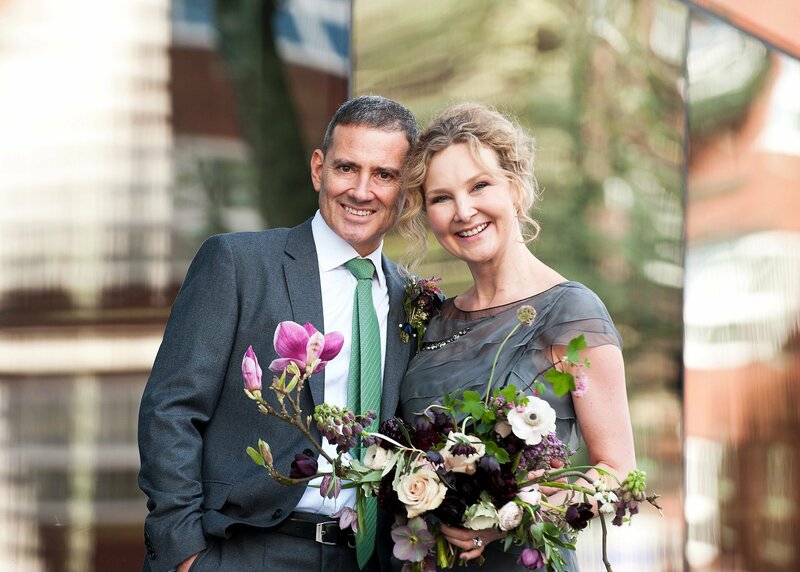 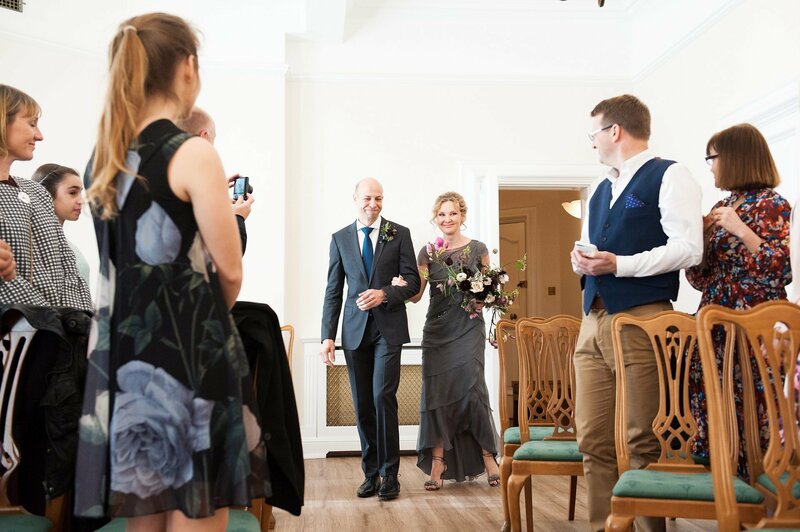 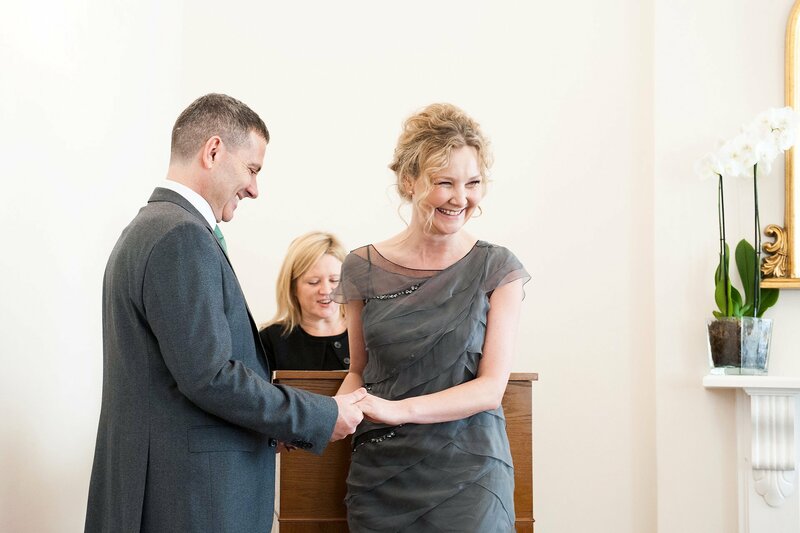 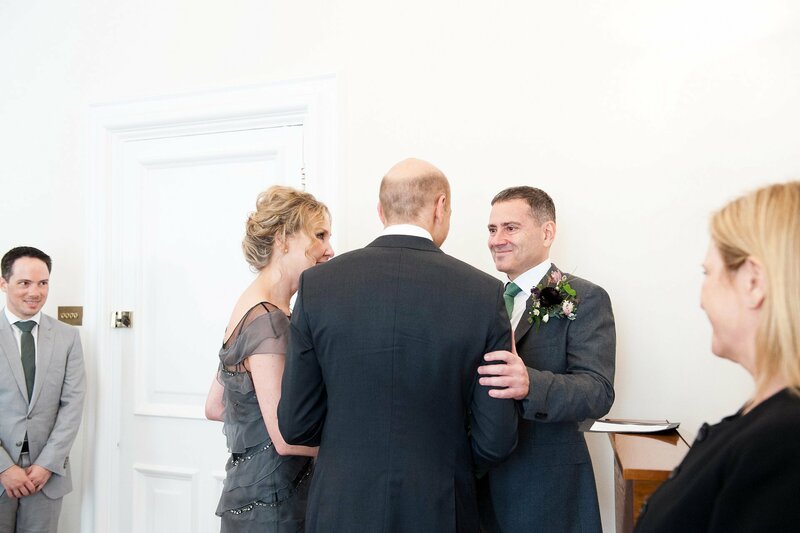 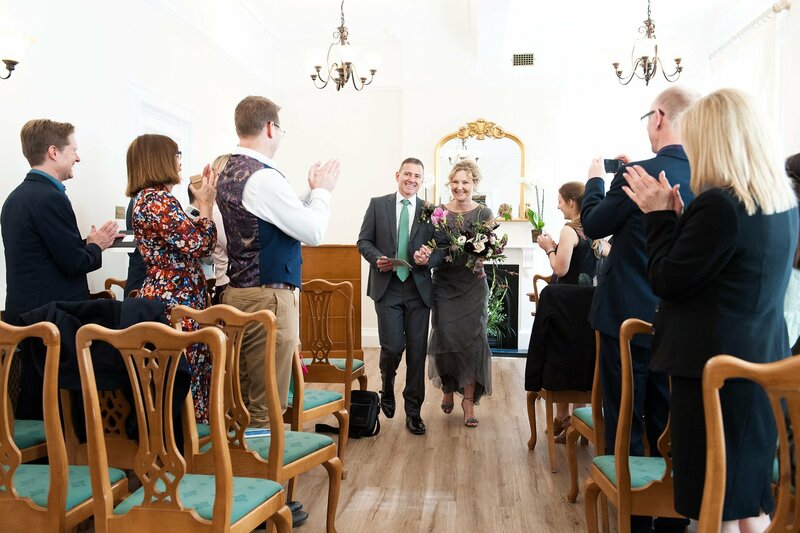 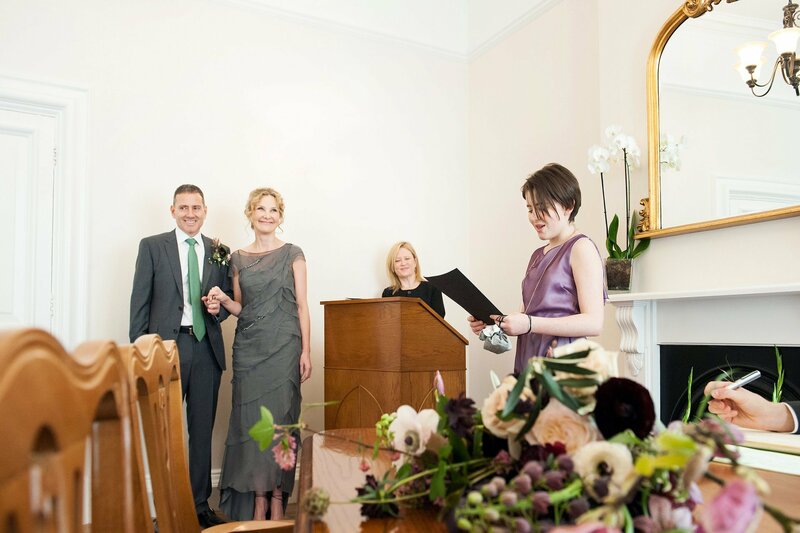 I hope to marry on Saturday 25 August at the Greenwich Registry office – Edwardian room. 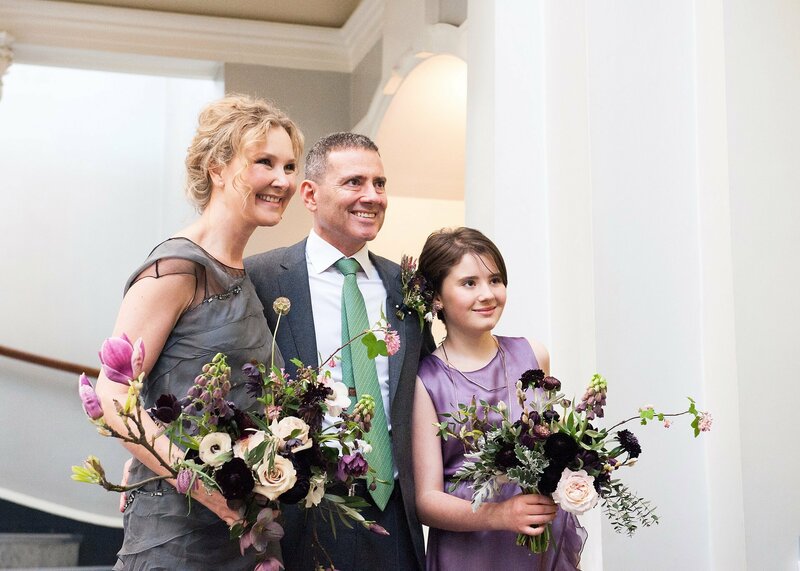 Date to be confirmed but would be good to get some information from you. 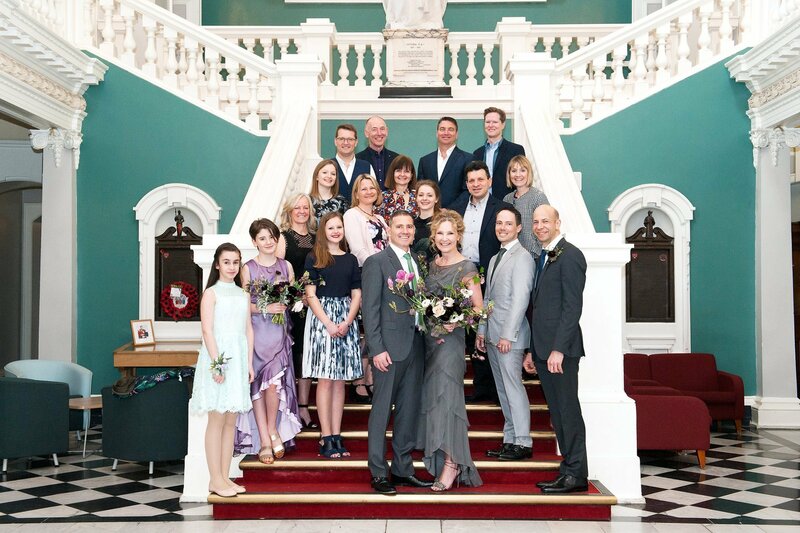 Hi Emma, we are getting married at woolwich town hall on 21 July 2018 how much do you charge for 1 hour and are you available.